This week I am in the company of Gill Clarke, author, Guest Curator and Visiting Professor at the University of Chichester’s Otter Gallery. 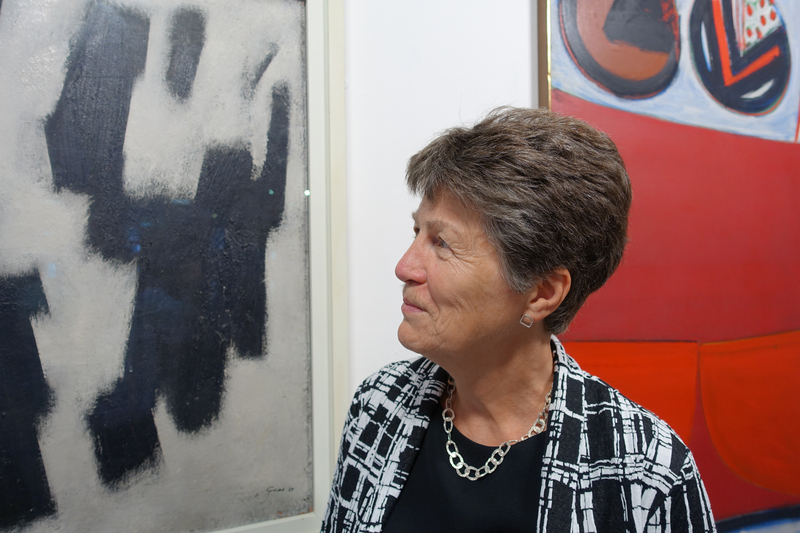 The exhibition, ‘The Bishop Otter Art Collection: A Celebration’, is located at both the University of Chichester and at Pallant House Gallery. It celebrates the vision of Sheila McCririck (1916-2001), whose foresight created a remarkable collection of 20th century British Art. She was supported in this purpose by the Bishop Otter College Principal Betty Murray (1909-1998). The economic austerity of the post Second World War period provided the backdrop to artistic activity and educational thought. The integration of the arts and education became part of the rebuilding of Britain and was central to the purpose of the collection at Bishop Otter. There can be no doubt that these women were making bold aesthetic choices which showed remarkable foresight. All the works represented in the exhibition are from the collection. 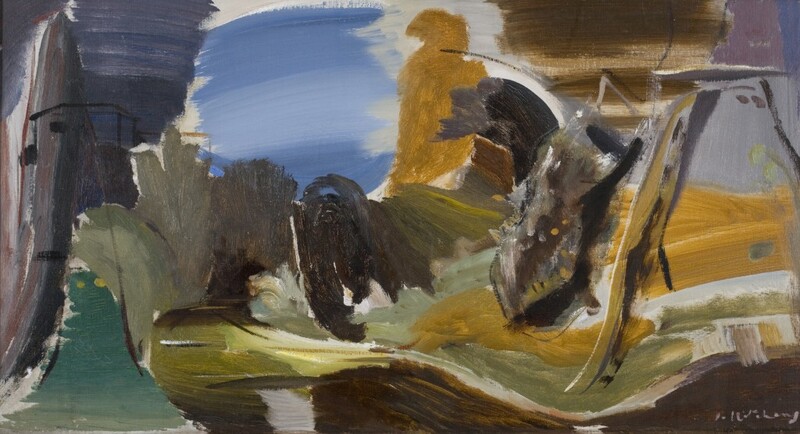 They include artists like Henry Moore, Stanley Spencer, Paul Nash, Walter Sickert and Ivon Hitchens, alongside leading post war abstract painters such as Peter Lanyon, William Scott, Paul Feiler, William Scott, Patrick Heron, William Gear, Terry Frost and Sandra Blow. Henry Moore was also an early supporter of the College Collection and its premise that teachers should be exposed to leading examples of modern art. Initially he lent a bronze, ‘Seated Figure’, which was purchased by the college. 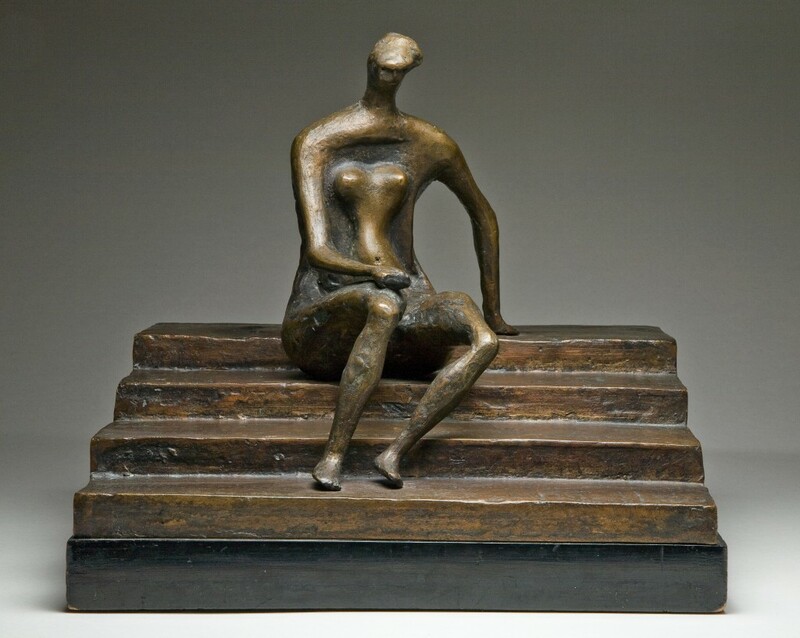 When it was stolen Henry Moore generously sold them ‘Figure on Square Steps’, seen here, at a very favourable price. These and other stunning works can be seen at the University’s Otter Gallery. The display at Pallant House Gallery allows the visitor to see paintings from the collection in the domestic setting of the old house. This gives some sense of how they must have appeared to students back in the 1960s. 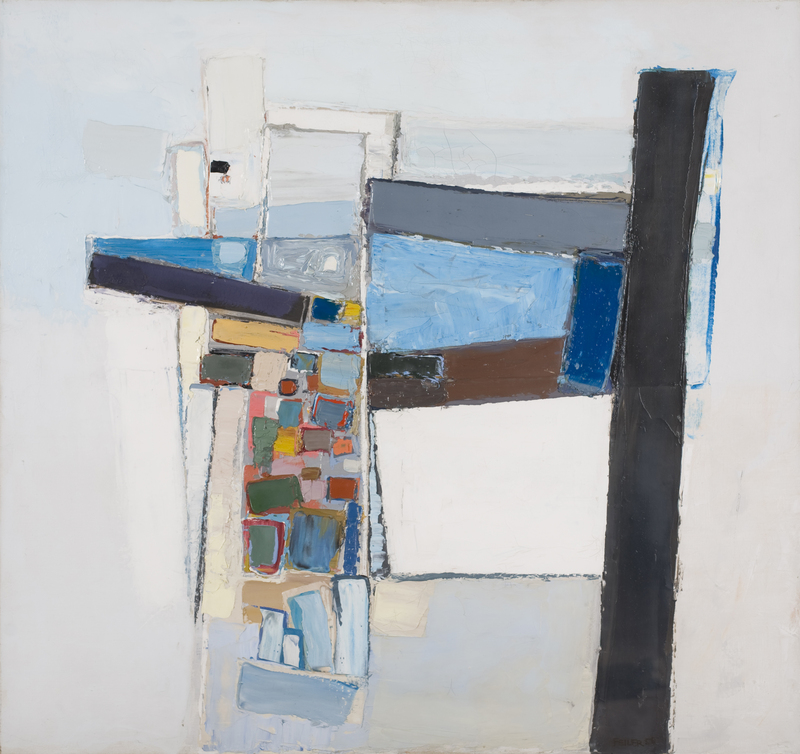 Amongst these is Paul Feiler’s jewel – like abstract titled ‘Boats and Sea’. Its heavy blocks of colours is characteristic of his work at this date. ‘What treasures we lived with’ and ‘Amazing to have wandered past this art whilst a student’ are just some of the comments from students of the time giving voice to the quality of this collection. ‘The Bishop Otter Art Collection: A Celebration’ runs until 9th October 2016 at the University of Chichester Otter Gallery and Pallant House Gallery. Gill Clarke has published an insightful accompanying book about the collection and its formation which is on sale at both venues. 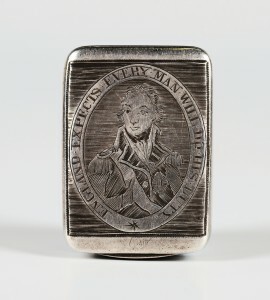 For more information and opening times go to www.pallant.org.uk and www.chi.ac.uk/current-exhibitions/bishop-otter-collection-celebration. Will Britain’s Art Market Benefit from Brexit? The British art market accounts for some 65% of European Union (EU) art sales. 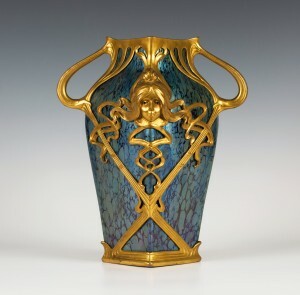 Britain is one of the world’s three leading international market places for art and antiques. Despite this important global position the UK’s art market has been plagued by EU rules over the years. The British art and antique market is a significant sector in the UK economy. With total annual sales of around £9,000 million it employs more than 41,000 people. Britain is the third largest art and antique market in the world with a 22% global market share. 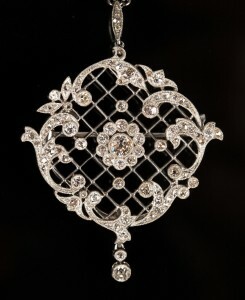 It uniquely attracts high value items from around the world for sale. 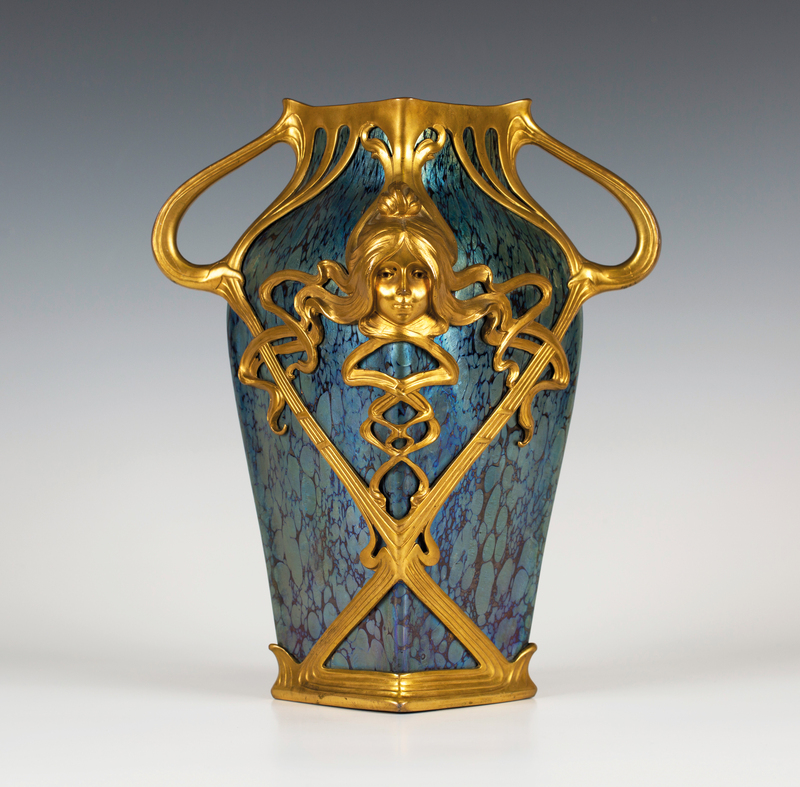 These objects are sold, predominately at auction, to a global audience. 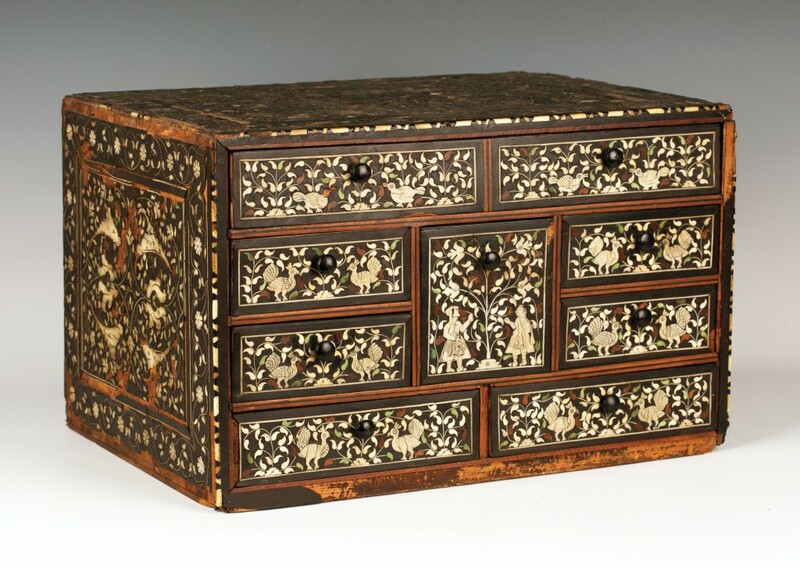 In 2013 Britain imported £3,702 million of art and antiques and exported £4,498 million. The EU’s approach to this global market could politely be described as rather introverted. In the rest of the EU VAT is paid by the seller at auction on the price paid for a Lot as well as on the commission and expenses. This has impacted hugely on their competiveness in the global market. Whilst Britain was successful in maintaining that VAT should only be paid on commissions and services in the UK market, it fell victim to the EU VAT harmonisation programme which, in 1995, saw a VAT import duty imposed of 5%. The impact of this on the British market was softened when the EU conceded a temporary import scheme which allowed import VAT to be waived where an item was re-exported outside the EU within two years. But the famous and costly EU red tape remains around this issue. The post-Brexit government would do well to remove the anti-competitive EU import VAT which is so burdensome on a market highly dependent on international cross-border trade. Perhaps more contentious is the Artists Re-sale Right (ARR) imposed by EU directive against the wishes of the British Government. It is based around the French ‘Droit de Suite’ system of royalties paid to an artist and their families for 70 years after the artist’s death when art is re-sold. I am unaware of any studies which highlight the degree to which artists have benefited. The EU claimed that it would persuade global markets to adopt the ARR scheme and create a level playing field. This, of course, did not happen. It is clear that the EU’s ARR has had an extremely detrimental effect on the British art market’s global competiveness against markets such as Hong Kong and New York. The British Art Market Federation (BAMF) commissioned a study of ARR’s impact. It highlighted that the UK’s global art market share in post-war and contemporary art (those area most affected by ARR) fell from 35% in 2008 to 15% in 2013. Whilst the relatively poor economic performance of Europe in comparison to the USA will account for part of this, ARR has had a serious impact on the UK’s global competiveness in this sector. Some may be asking what relevance the global markets have in Sussex. But we have many leading manufacturing, technology and research companies operating in the global economy in our county. Toovey’s have invested hugely in the global art and antiques market creating tooveys.com as an international shop window with hundreds of thousands of potential buyers seeking to do business with us. Our sellers come from as far afield as Canada and buyers from across the world including China, India and the USA. 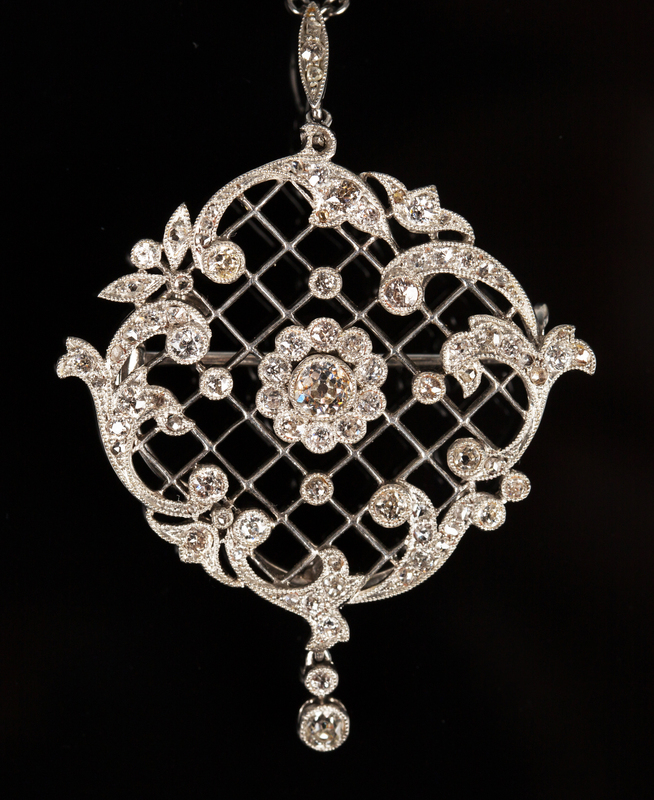 Prices were buoyant at Toovey’s first series of post-Brexit specialist auctions last week, especially in the sectors of jewellery, silver and collectors’ items, as illustrated by the objects shown here. A post-Brexit Britain must look to secure its competitive advantage in those areas of our economy which are already performing with extraordinary competiveness and creativity in the global economy and deliver the promise of removing anti-competitive legislation, taxation and red tape. If it does then Britain’s place in the global art market can only grow. Adrien Sina’s work displayed alongside the displays of dinosaur bones! Horsham Museum and Art Gallery’s latest exhibition, ‘Dinosaurs of Horsham – Art, Reality and Fun’, was opened by Horsham District Council Chairman, Christian Mitchell, last Friday. The exhibition runs until 5th September 2016 and is set to be a school summer holiday favourite! Dinosaurs have fuelled the imaginations of scientists, palaeontologists and artists since their discovery in the early 19th century. This exciting exhibition brings together these interests and reinterprets them for the 21st century. 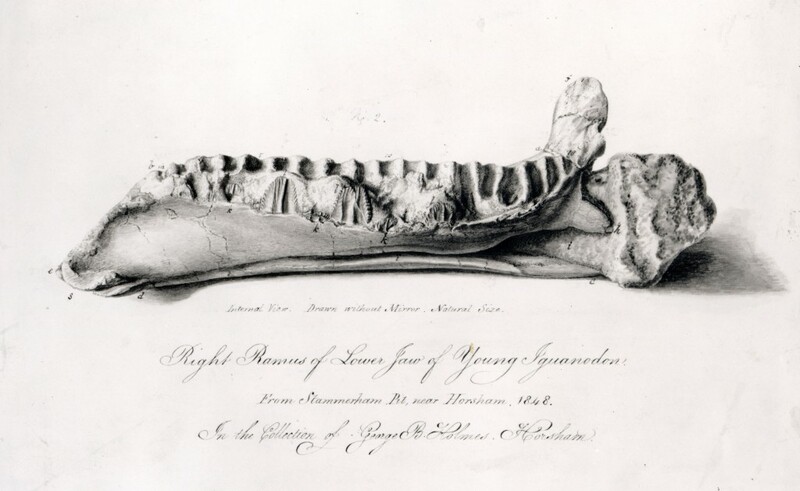 The archaeological displays and contemporary art are united by the story of George Bax Holmes, a respected local Quaker, who acquired his interest in fossils and geology in about 1837. It was in 1840 that he noticed a dark mass in some freshly quarried Horsham stone. Some of these fossilized bones form part of the exhibition displays. They became known as the Great Horsham Iguanadon. 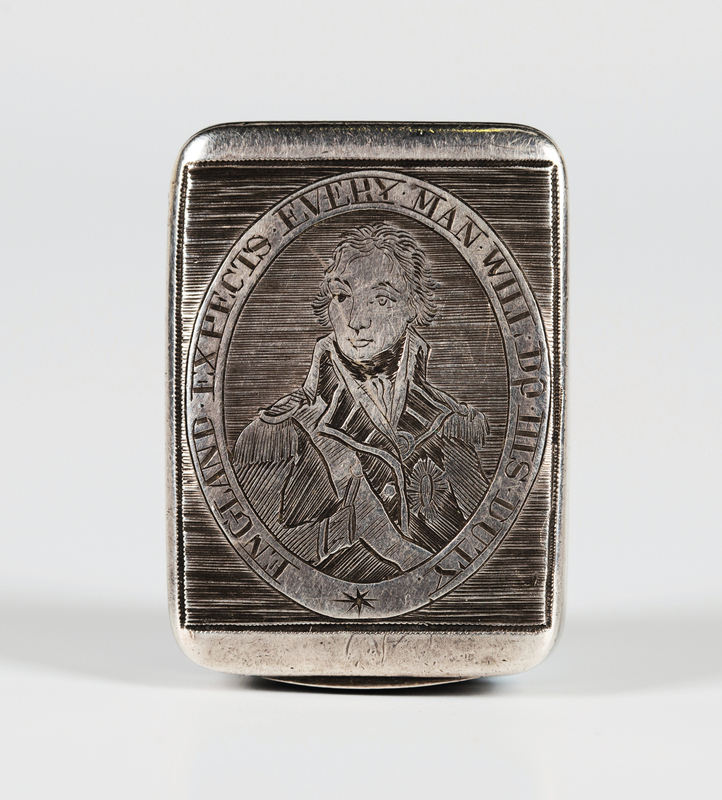 Bax’s daughters, Mary and Gulielma, recorded his finds in a series of remarkable drawings. Alongside the ancient is the work of two contemporary artists. Their work centres around the interpretations of the dinosaur models at Sydenham. Toby Tatum’s film installation invites us to revisit these dinosaurs. His layered approach to film making re-contextualizes these grand, imagined creatures as though in a series of follies in a private garden. 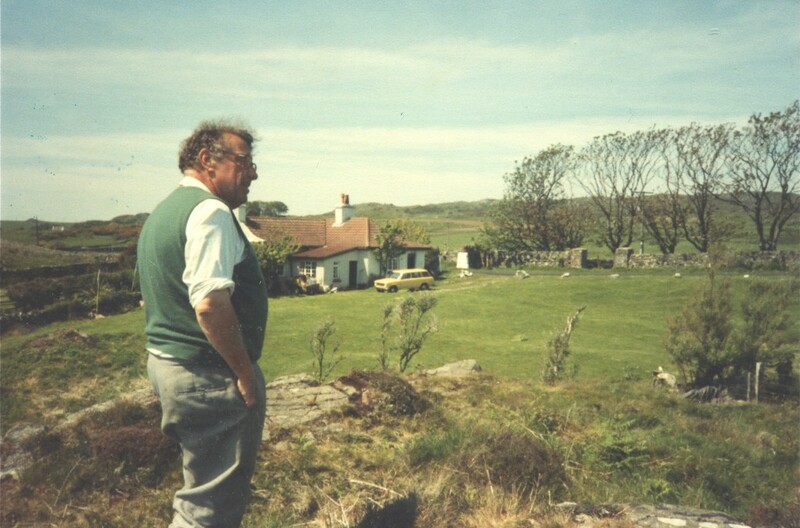 There is a sense of what Toby describes as “collaging chronology” – the layering of time. This generosity of spirit and a desire to share knowledge and understanding is apparent throughout this exciting exhibition. ‘Dinosaurs of Horsham – Art, Reality and Fun’ is on at the Horsham District Council Horsham Museum & Art Gallery, The Causeway, Horsham, until 5th September 2016. There is much to delight old and young alike! Entrance to the Museum and exhibition is free. For more information go to www.horshammuseum.org or telephone 01403 254959. The books go back further than just him, of course. His grandfather, or one of them, was A.H. Gilkes, headmaster of Dulwich College. His library survived, in part, to be passed on to Michael – erudite books in mass-produced Victorian editions, the mark of a prolific reader. At some point the books had been stored on newly painted shelves, and some had spots of black paint adhering to the bottom edges. One of his children recalls reading The History of the Decline and Fall of the Roman Empire, each page of the enormous work having to be carefully separated from the rest as it was turned. 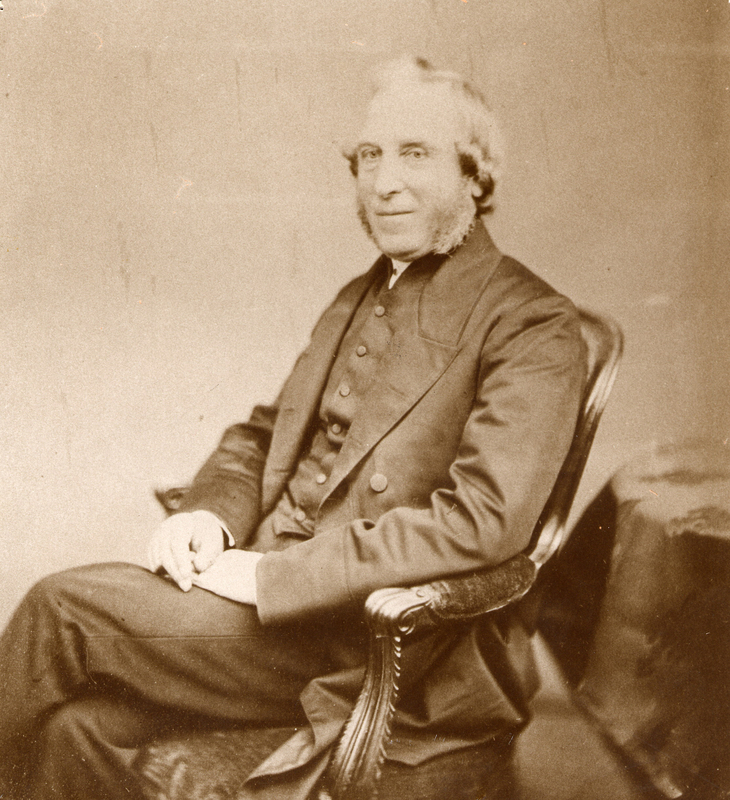 His mother, Denne Parker, an accomplished classical singer, had married Martin Gilkes, a poet and lecturer at Birmingham University, adding other elements to the family library. There are even books belonging to William Gilkes, who back in the early 19th century had married Mary Hemming of the Showers in Herefordshire. This Quaker ancestor had assembled a collection of those books ‘it was most needful for men to know’: Homer, Virgil and the Bible. It really began, though, with books on the Antarctic, which Michael started to acquire prior to his posting as a newly qualified doctor to the whaling station on South Georgia in 1946, mainly based at Leith, but also at Grytviken. Upon qualification as a doctor, a gift from his great uncle, Michael Parker, an Oxford don and expert on the Roman army, permitted the acquisition of the three volumes of The South Polar Times. Over the next sixty-odd years, the collection expanded to reflect his growing range of subject-related interests, and now includes – in addition to the general Antarctic section – named Antarctic expeditions, whales and whaling, works on the great explorers Columbus, Cook, Scott, Amundsen and Shackleton, a fine section on cartography, islands and North and South America, including an extensive section on Patagonia. 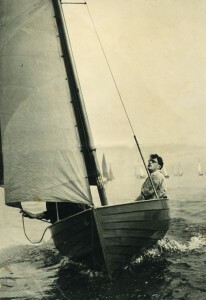 During a long and rich life, this passion for adventure would see Michael crewing on an America’s Cup Race, living and working for a time researching glaucoma in both Jerusalem and the Gambia, building his own thirty-foot yacht in his back garden and sailing her around Britain and over to Europe, and traveling extensively, particularly in South America. 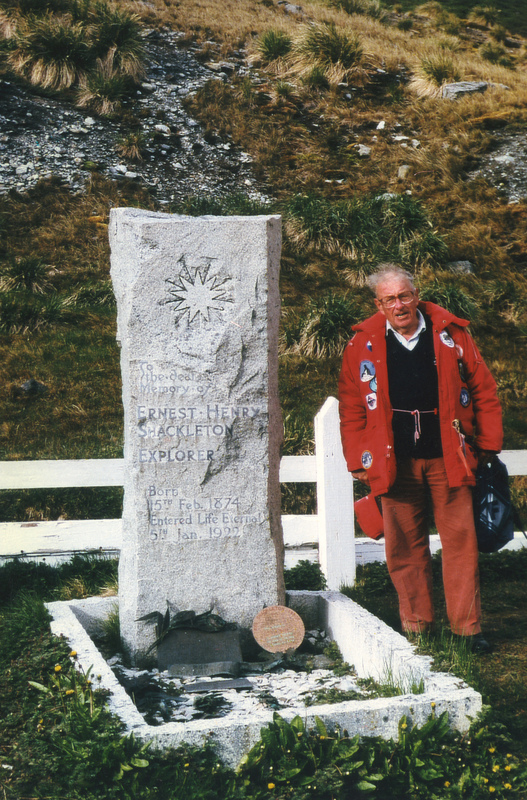 On his retirement from his career as an ophthalmic surgeon, he made a number of voyages back to Antarctica – the region which fascinated and drew him the most. Like Kipling’s The Elephant’s Child, the books in this catalogue reflect a ‘satiable curiosity’ for exploration, and an inspirational hunger for the new and undiscovered. An important single-owner library collection will be sold at auction by Toovey’s, at their Washington salerooms, on Monday 11th July 2016. 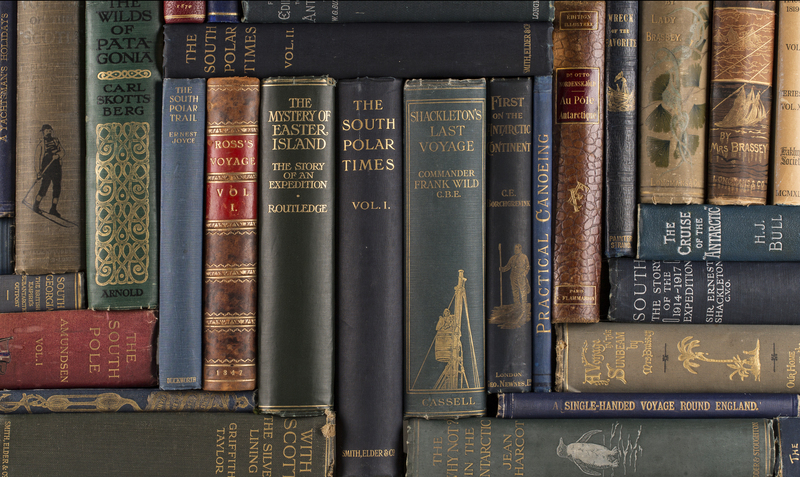 This exceptional private collection reflects the diverse interests of the Sussex based adventurer and bibliophile, Michael Gilkes (1923-2014). In 1946 Michael Gilkes received a posting, as a newly qualified doctor, to the Salvesen whaling fleet based in Leith and Grytviken, South Georgia. In preparation he began to acquire books on Antarctica. 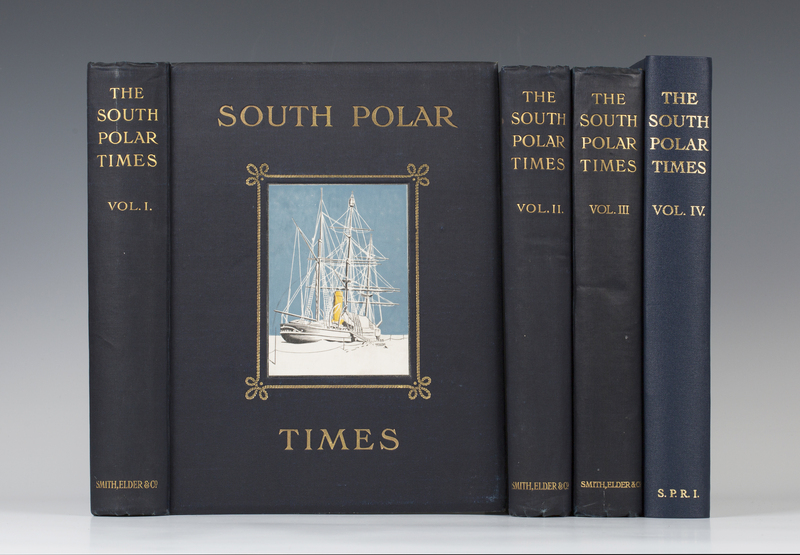 A generous post qualification gift from his great-uncle enabled Michael to purchase ‘The South Polar Times’ and the collection was born. These wonderful volumes contain the signature of Edward Evans, who was offered the post of second-in-command on Robert Scott’s fateful expedition to the South Pole in 1910-1913 on the Terra Nova. Evans accompanied Scott to within 150 miles of the Pole but was sent back suffering from scurvy, indirectly saving his life. Scott and his remaining fellow explorers would perish on the return from the Pole. This remarkable collection is alive with historical connections like this. 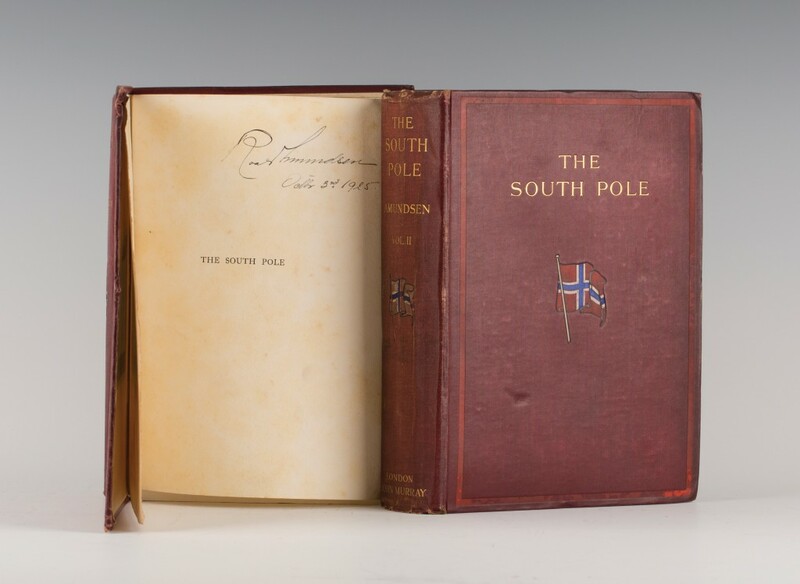 Amongst the books is ‘The South Pole, an Account of the Norwegian Antarctic Expedition in the ‘Fram’, 1910-1912’ which is signed by the Norwegian explorer Roald Amundsen. It describes his success in the race against Scott to be the first to reach the South Pole. The third figure in this heroic age of Antarctic exploration was Sir Ernest Shackleton. Shackleton led three expeditions to Antarctica. 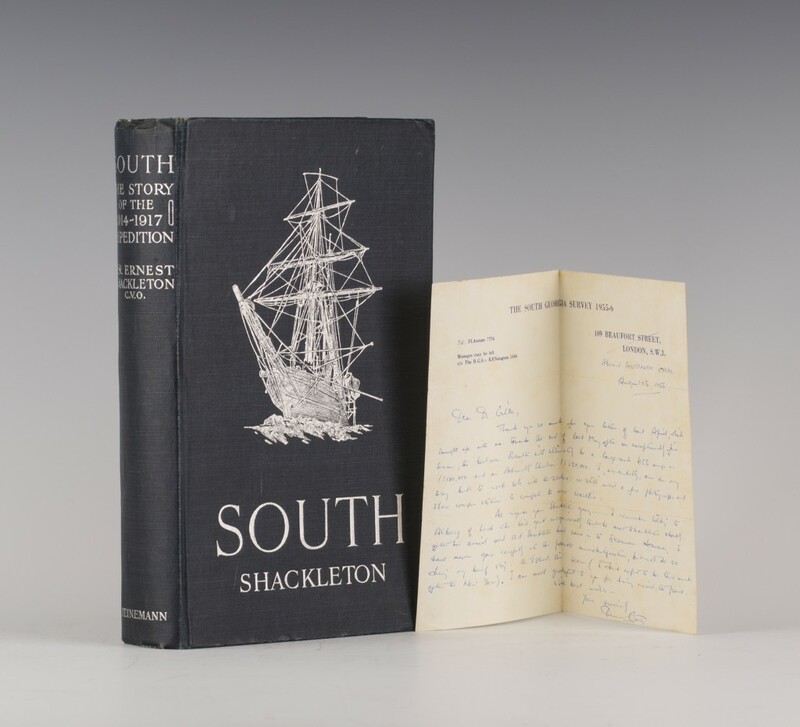 His last adventure is captured in ‘South, Story of Shackleton’s Last Expedition 1914-1917’ which is accompanied by letters from the radio broadcaster and polar explorer, Duncan Carse. Disaster struck when Shackleton’s ship, Endurance, was trapped and crushed in the ice pack. The crew were forced to camp on the sea ice until it broke up. Once it melted, Shackleton led an extraordinary voyage in Endurance’s life boats. They covered more than 720 nautical miles across treacherous seas to reach South Georgia. Dr Michael Gilkes shared these explorers’ adventurous spirit and thirst for knowledge, discovery and understanding. Over more than 60 years, the collection expanded to reflect his growing range of subject-related interests, which included – in addition to the general Antarctic section – named Antarctic expeditions, whales and whaling, works on the great explorers: Columbus, Cook, Scott, Amundsen, and Shackleton, a fine section on cartography, islands, and North and South America, including an extensive section on Patagonia. Sailing and Scotland are also represented. During a long and rich life, Michael’s passion for adventure saw him crew on an America’s Cup Race. He lived and worked in both Jerusalem and the Gambia whilst researching Glaucoma. 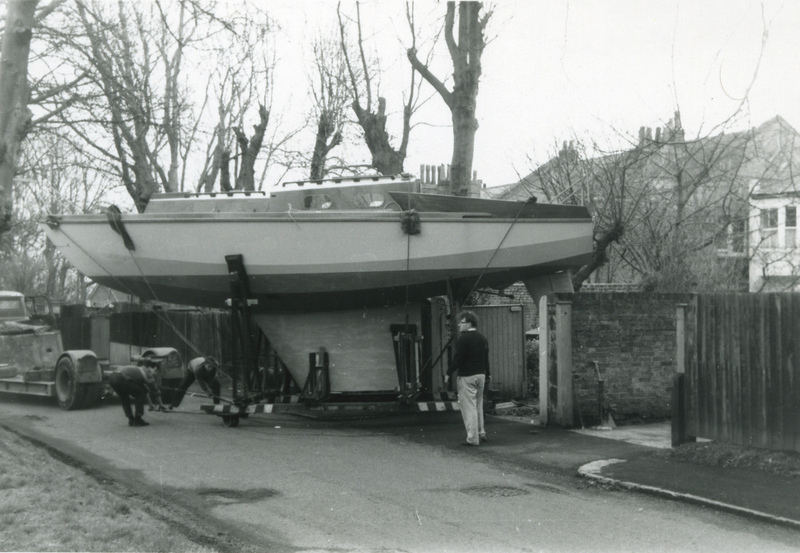 He built his own 30 foot yacht in his back garden and sailed her around Britain and to Europe. He travelled extensively, particularly in South America. Once Dr Gilkes had retired from his career as an ophthalmic surgeon he made a number of voyages back to Antarctica – the region which most continued to fascinate and draw him. The Michael Gilkes Collection will be auctioned on Monday 11th July at 1.30pm. For more information on this remarkable single owner library collection contact Toovey’s book specialist, Nicholas Toovey on 01903 891955, or visit www.tooveys.com.